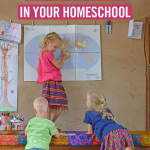 I read this article and wanted to share it with you: How and When to Combine Children in Your Homeschool https://blog.sonlight.com/how-to-combine-children.html. 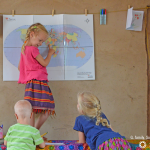 Beginning to homeschool is rife with questions; homeschooling with multiple children even more so. 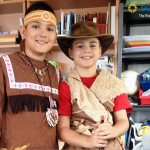 While Sonlight curriculum resolves many of the problems a new homeschooler faces, it can be overwhelming to think about using a different History / Bible / Literature Package (HBL) for each child. The good news is that you don't have to! 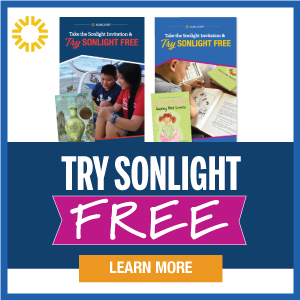 Sonlight is perfect for combining multiple children in a single program! The trick comes with figuring out which children can work together and which level to use for them. Here is a breakdown of ways to choose the right level when combining your children and tips for doing it well. As you might expect, there’s more than one way to combine children. Here are three of the most popular methods; feel free to put your own spin on any one of these to find what works for your family. With this method, you pick the HBL to best suit your oldest child, making adaptations for any younger siblings or just letting them glean what they can along the way. This method usually requires you to separate children at some point or switch to a different method. Who This Method Might Benefit: Parents who are comfortable with the concept that their younger child might not get quite as much out of a Sonlight program but can easily make it up down the road. Parents who find it easier to add in picture books or easy readers for the younger children also do well with this method. Who Might Benefit from Another Method: Parents who would find it anxiety-producing to believe their younger child might not be getting as much out of the program. Also parents who are worried about exposing younger children to more sensitive content might prefer to wait. Some parents find this method very natural, especially if there's not a large gap in the middle of the sibling group. It involves choosing a level that's right between the two students and adjusting a little up for the older or a bit down for the younger if need be. Who This Method Might Benefit: Parents who have two or more children close together in ability or parents who feel comfortable adjusting the program as they go. Who Might Benefit from Another Method: Parents who would have a hard time adjusting in two different directions at once. I myself find this method particularly difficult, as I kept adding so much material for my oldest to beef it up and more material for my youngest to make sure he wasn’t being left behind, that I ended up doing more work than if I had simply chosen two separate levels. This might be the most popular option. 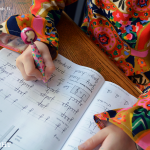 It involves picking a program that fits your youngest child you wish to combine, or just at the top of their comfort level, and then adding materials to challenge your older child. Who This Method Might Benefit: Parents who find it easier to add on materials than to worry about what to drop or what to do if a child isn’t getting enough. Many parents find it easier to read a few extra books than to try to adjust the entire program. 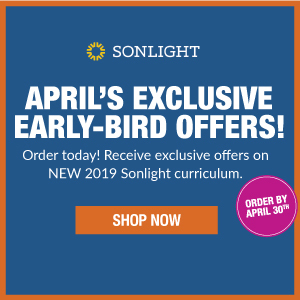 Who Might Benefit from Another Method: Parents who don’t feel comfortable holding their oldest child back while waiting for the younger one to be ready, or having an older child who might be at the upper end or above the upper end of the grade recommendations Sonlight lays out. Do I Have to Combine? If the thought of combining doesn’t bring you peace, or you feel anxious about your children being in a level that might not be their perfect fit, you don't have to combine! 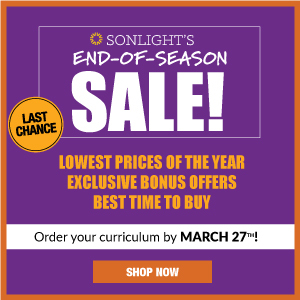 Whether you choose to combine or whether you work through two or more programs at once, you’ll find other homeschoolers around the world using Sonlight just the way you do. Start with the method that sounds the most appealing to you. Families who have children a year or two apart often find it easier to combine. Children three or more years apart are often more difficult to merge together. However, some families are able to combine children five or more years apart with a little creativity. The larger the age gap, the more necessary it is to let go of the ideas of grade level for each child or the need to constantly move the oldest ahead. You might find one child needs to hover in place for a year or two while waiting for a sibling to mature. 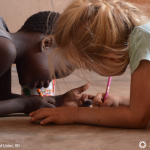 If your older child is eager to move ahead or the younger child is resistant to starting school, you may find it is more work to keep them together than to use separate levels. Keeping them together might get harder and harder as your oldest gets into higher grades but isn’t progressing in HBL levels. However, if your children are fairly close in ability, they might merge together seamlessly. For some parents, combining their children is worth the relief they get from combining. For others, it only adds more stress. If you have a lot of very young children, you might not know whether they will combine well in the future. Or you might make plans now, but they grow and develop in ways you can’t predict. You don’t have to have it all planned out right now. It’s okay to make a tentative plan now and change it as you go. In those cases, I like to remind myself to start low and go slow. Choose the very lowest program you feel comfortable starting with and work through it as slowly as you can while you wait for the younger children to catch up. As you work through it, you’ll start to see hints that point you in the direction of future choices. For example, if your oldest is impatient, asks for more work during the day, and seems to want to go faster, or if a younger child seems not to be interested at all or balks at doing the work, these are possible signs that those two aren’t going to combine well in the next few years. Or, if your oldest is happy doing what’s scheduled, and your youngest is happy to listen in more often than not, that might show you that they will be fairly easy to combine. When I feel myself panicking over my choices, it helps to remind myself to take a deep breath and relax. Even if this year is a total disaster, it will work out in the long run. I can adjust what I’m doing as I go and try again. Even if it’s my child’s senior year, and they struggle with every class, it’s not over. I can simply have them redo their senior year with something else. Or I can have them go on to college after a hard year. 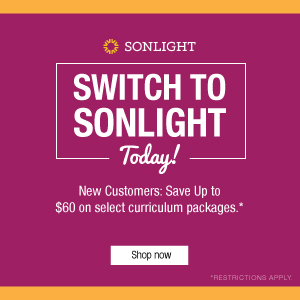 Sonlight has a great return policy you can use as a backup plan and excellent Advisors on call to help you figure out to do next. The online support group can answer almost any question at any time of the day, and other parents,who have been where you are, are available to help. Combining makes life easier for many families. There really is no wrong way to combine unless it’s not working for you. You can try combining in any way that feels most comfortable for your family, or choose not to combine at all. No matter the way you choose, as long as it works for your family, it will be just right. 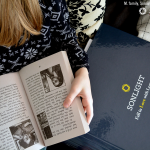 Take a look at the Sonlight catalog. It has helps for combining children along with detailed package descriptions to help you make the best choices. And as always, if you need help, contact our Advisors.